Deegan 38 PRO 4 Black 17X9 with 5X4.50 Bolt Pattern 5.394 Back Space Matte Black. The Deegan 38 Deegan 38 PRO 4 by Mickey Thompson features a rugged 8-spoke design with authentic zinc coated bolts in the outer lip. 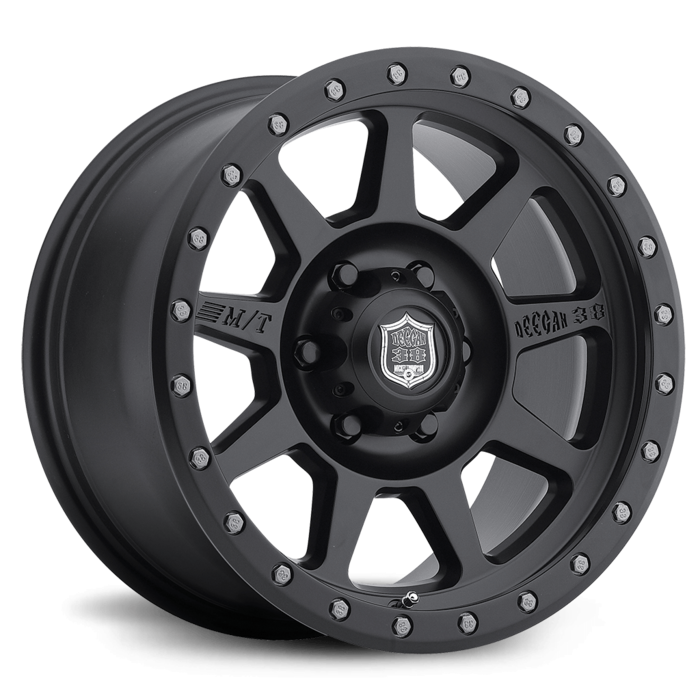 The Deegan 38 PRO 4 has a durable 2-stage matte black finish and is available in sizes 15x8 through 17x9.